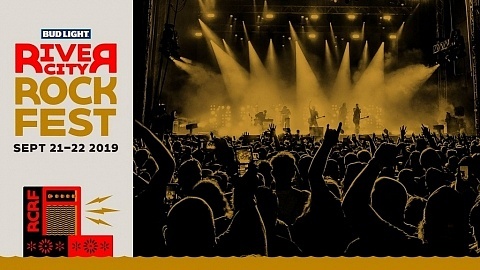 Grammy Award-winning multi-platinum hard rock innovators KORN are topping off their 20th anniversary celebrations with something special for their fans. 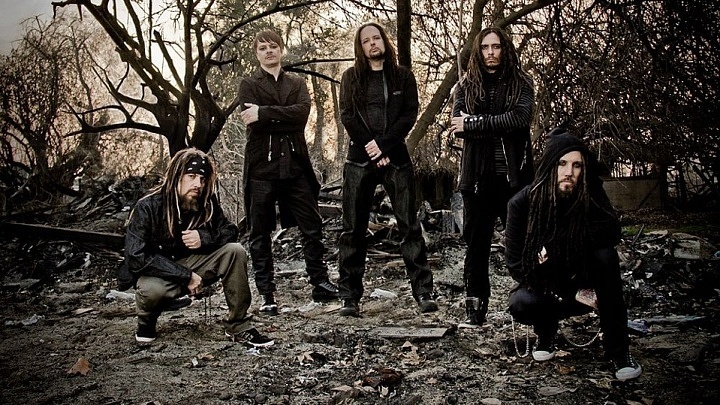 Today (July 21), the band has announced they will head out on the road for one last turn in 2015 to perform their debut album KORN in its entirety. 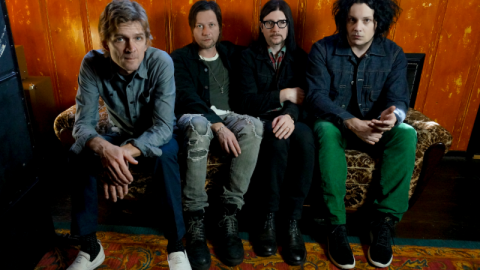 The tour pre-sale started today at 10:00 am local time on the band’s Facebook. The 20th anniversary shows, which started in 2014, were so well-received that the band—Jonathan Davis (vocals), James “Munky” Shaffer (guitar), Brian “Head” Welch (guitar), Reginald “Fieldy” Arvizu (bass) and Ray Luzier (drums)–wanted to bring this iteration of the live show into an intimate setting for the core fanbase. 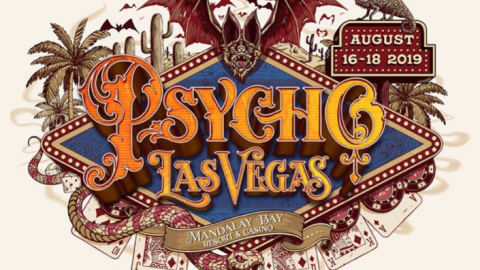 Starting on October 1 at Aragon Ballroom in Chicago, the band will set out on a month-long tour around the U.S. to perform the album that started it all at iconic venues including The Fillmore in Detroit, Irving Plaza in New York City, The Tabernacle in Atlanta, Stubbs in Austin and the Fox Theatre in Oakland, CA. At each show, fans will get to experience KORN two decades later and be able to request which songs from the band’s massive catalogue should make up the encore. 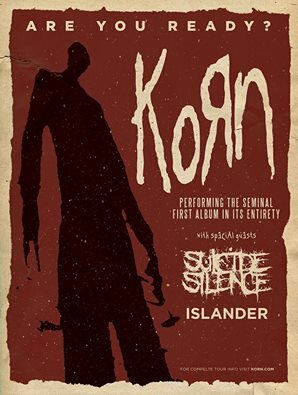 Joining KORN on the tour are special guests Suicide Silence and Islander.